Because we treat your lawn like our own. care for decades. Plus, we live in Central Texas. Our team has been providing A+ service since 2006. We Treat Your Lawn Like Our Own…Because We Live Here Too. Get a gorgeous lawn, without being tied to a contract. Just pay as you go, for the services you want. 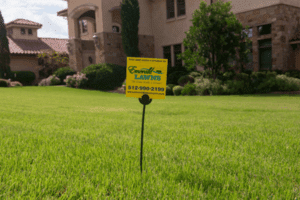 To get your lawn green and lush, we’ll complete an 8-point, no obligation lawn evaluation to supply you with a customized estimate and treatment plan. Since we care about you and the environment, we use organic products whenever possible. 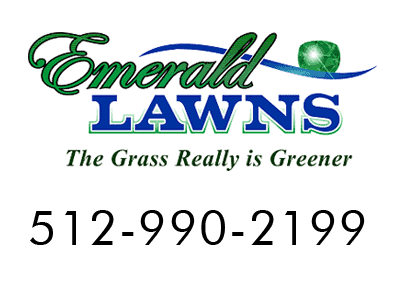 No other service is likely to have as big an impact on the color and health of your lawn as proper fertilization. Enjoy a beautiful lawn, free of weeds and unsightly brown or yellow spots. We’re not going to let an infestation of turf-damaging pests ruin your beautiful greens. We keep your landscape looking great with tree and shrub fertilization, pest control and disease-prevention. Golf course managers know that topdressing is one of the most impactful actions you can take to improve the health of your turf. Beautify your landscape and control weeds with professional mulching. Keep mosquitos from ruining your outdoor space with a safe, effective, and guaranteed solution. Protect your family with our guaranteed, once-a-year fire ant treatment. 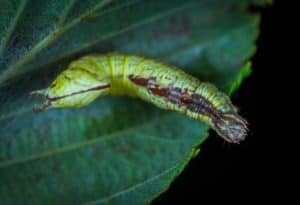 We’ll ensure those little grubs aren’t causing brown spots and destroying your turf. 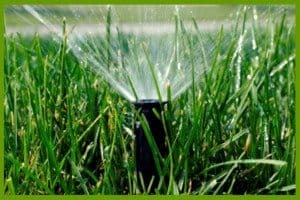 Maximize your water usage with Emerald Lawns Water Efficiency. Locally-Owned. Guaranteed Results. No Contracts. Let us schedule an 8-point, no-obligation evaluation. Call 512.990.2199 or click below.